Homeworld Command is a fictional military command centre where Col Young ,of Stargate Universe, has to report to Gen O’Neill. 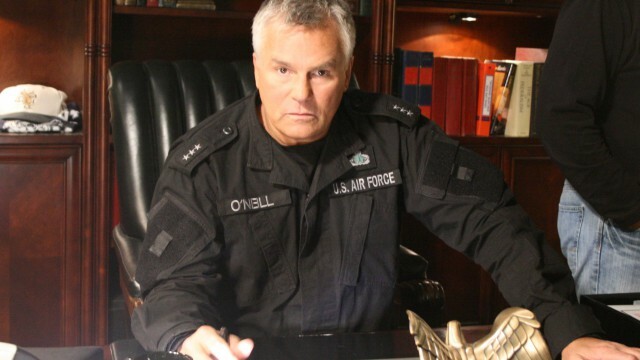 Bringing Richard Dean Anderson into the latest series in the franchise is a great choice.He has been a integral part of the Stargate franchise and commands a lot of attention while continuing to bring humour to the scene. Because it is a fictional military base I was able to make a custom uniform for him. Similar to what is currently being used in the military but just a little more fitted and stylish. The Destiny uniforms were all custom made as well,so it made sense.